Every sadhak (practitioner) who is initiated has to resolve to remain a vegetarian for life. This means that the disciple may not deliberately consume any substance derived from the killing or cruelty to any mammal, marsupial, bird, reptile, amphibian, fish, mollusc, or other creature in the animal kingdom. The yogi must be careful and uncompromising. Labels should be scrutinised, and foods and ingredients containing substances like lard, gelatine, and ‘marine oil/shortening’ etcetera should be rejected. Soups having a chicken or meat stock are unacceptable, as are, for example, dietary substances comprised of desiccated liver or bone meal. Indeed, the vegetarianism of the yogi should go beyond ahimsa (harmlessness) in food consumption. In addition to “non-consenting” food, the initiated disciple must conscientiously avoid cosmetics containing substances extracted from or tested on animals, and must neither buy nor keep fur or leather hats or coats. We advise avoidance of dishes in which eggs are the main ingredient. Dairy products may be taken sparingly, and cheeses without animal rennet should be chosen. In addition to thoughts offered below, further insights into (and quotes about) vegetarianism are available here. Slaughtering animals is cruel and barbaric, and animal products are toxic. We cannot isolate our spiritual wellbeing from the mental attitude and violation which accompany the slaughter of animals, in which every meat-eater has complicity. For meditation, a clear conscience is a sine qua non. Initiates into the sacred and secret mantra – and – meditation technique cannot be meat-eaters, and those who are still insensitive enough to be comfortable with eating meat are not ready for meditation. Haven’t some evilly motivated men been vegetarians? Yes, for whatever reasons. 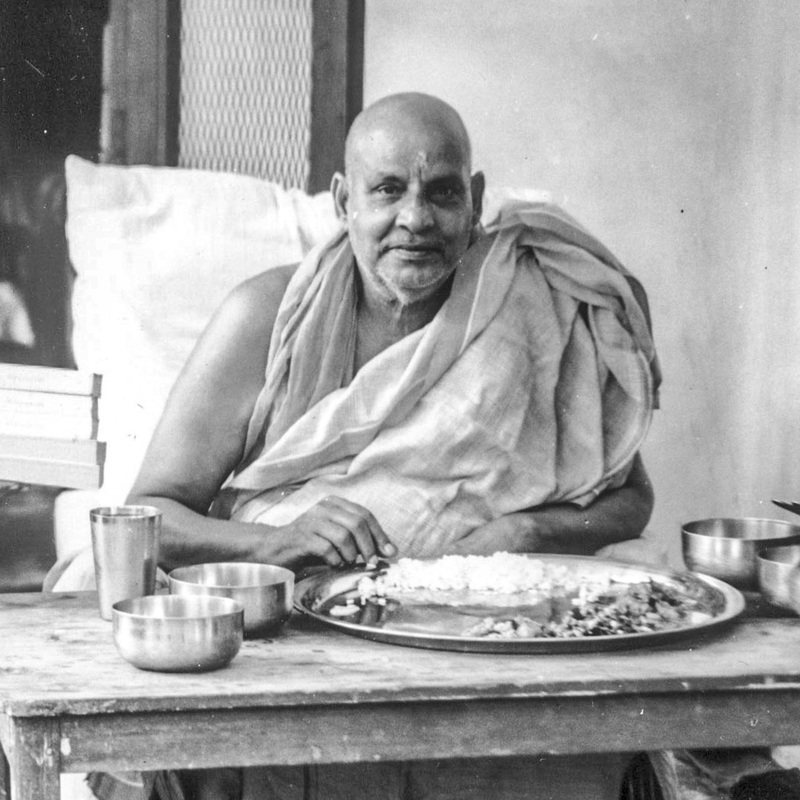 A vegetarian diet will not turn a savage into a saint, but it is also true that whereas an aspirant can become a vegetarian for the sake of spiritual progress, one cannot change from vegetarianism to meat-eating for the sake of spiritual progress. May one eat meat on medical advice? No. Such advice would be founded in ignorant prejudice. Meat has nothing to offer which is not available in richer and/or cleaner form in the vegetable kingdom. For legal reasons, we will not counter a registered medical practitioner’s advice, but initiates must understand that a reversion to meat eating, for any reason whatsoever, nullifies their guru-disciple relationship. Why are milk products permitted when they could not be available to us in such vast quantities without the slaughter of calves for the veal industry? We condone, but do not advocate, the consumption of milk. The aspirant should keep his/her consumption of milk so low that, if everyone consumed so little, the dairy industry could not survive. For further explanation, involving the effect on kama-manasic evolution of a mutually beneficial relationship with the cow, refer to your guru’s teaching. Do plants feel pain, and does reaping a crop take life? No. Plants react defensively to destructive stimuli and intent, in common with a pattern which is divinely established in all life. There is no distress or loss of life. The vegetable kingdom is a group soul, and reaping a portion thereof is analogous with trimming hair or nails. How should the sadhak view deforestation and clearing of vegetation to make way for human housing, commercial and industrial development? To see deeper than the debates around the obvious problems of environmental and ecological damage, and climatic change, the sadhak may question his/her guru about distress to the elemental nature-deva kingdom, and its effects on the planet. Yes, in whatever context you might consider unavoidable in defence of body, home and food, but where possible repellents should be preferred and, in crop farming, only natural, ecologically harmless repellents should be used. Is the use of animal tissue in human bodies acceptable? Not if it involves killing, or physical or mental suffering. Is the use of animals in medical or other research acceptable? Not if it involves killing, or physical or mental suffering. The exploitation of animals, even to save human life or suffering, is unconditionally unacceptable.